Home » Freight Tender Info - Join the tender revolution » What does Industry 4.0 mean for the future of logistics? Industry 4.0 “in its scale, scope and complexity will be a transformation unlike anything humankind has experienced before”. 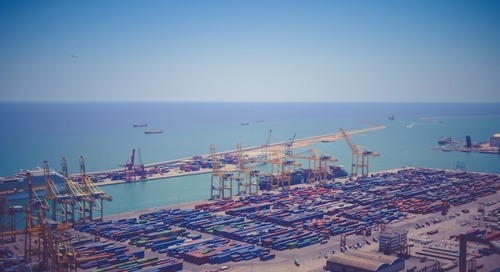 The logistics industry hasn’t traditionally been at the forefront of IT innovation, despite the fact that as a sector, it has huge potential for benefiting from the application of advanced technology. As CEO of a company specialising in the development of IT systems specifically for the transport industry, I have been frustrated on more than one occasion by a reluctance to recognise the benefits that technology offers. However, with the amazing changes promised by the Fourth Industrial Revolution, it’s time that we all sit up and take notice. 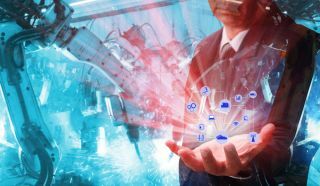 Industry 4.0 will affect all of us: the way that we live our lives, communicate and interact with each other, as well as how we make and move things. Professor Klaus Schwab, the author of The Fourth Industrial Revolution, as well as founder and executive chairman of the World Economic Forum, states that Industry 4.0 “in its scale, scope and complexity will be a transformation unlike anything humankind has experienced before”. So, how will these changes impact on the way that we move things – a key part of any industry’s supply chain? As always, to get a better understanding of what could happen in the future, we need to start by taking a look at the past. The First Industrial Revolution was all about steam: from steam railways to steam boats, which enabled longer distances to be covered, with more products moved more quickly and easily. This transformed the way that people lived, including the structure of rural communities. The Second Industrial Revolution brought electricity and communication by wire, creating the very first just-in-time operations and production lines by the mid-1800s and the first electric locomotive in 1837. The Third Industrial Revolution of the 20th century saw the advent of electronics and IT with digital processing. World War II brought the invention of the first computer, although computing only really began to take off during the 1960s. In logistics, this marked the setting up of the first hubs and spoke operations. The combination of all these advances fundamentally changed the way that products were shipped and received. The Fourth Industrial Revolution is all about cyber, physical and artificial intelligence (AI) technology – and it’s happening now. Just think about the massive impact of smartphones; the visibility they provide, supported by the development of increasingly sophisticated applications. In the transport industry, applications are being developed and used that can carry out all the functions (and more) that transport management systems costing thousands of pounds used to do just three or four years ago – but at a fraction of the cost. These apps are already available to pretty much any organisation with the foresight to use them. Autonomous vehicles are another major innovation of the Fourth Industrial Revolution. No longer are they something seen only in sci-fi films – driverless trucks are now being tested on roads around Europe and in the US. Combined with the type of control systems that transport company Uber has introduced, a clear picture is emerging of how product will increasingly be moved seamlessly from place to place without human intervention. There are also examples of companies using small robots for deliveries. Last year Starship Technologies, a company started by the inventor of Skype, incorporated a company developing and using small dog-like robots that can deliver products right to the front door. Already being tested and trialled across the world, they are currently in action in South London. The AI systems of Industry 4.0 enable us to handle unprecedented amounts of logistical information. This facilitates the optimisation of transport processes far more effectively than even the most experienced transport planner could ever do – transforming how we plan and organise transport. Inevitably, this will impact on the traditional 3PL transport operators. Companies are already starting to take back much of the work traditionally outsourced to large 3PLs because these new systems are now doing it for them. What makes things happen more quickly? What stops things happening fast? Clever technology almost seems to develop its own momentum, often bringing about change faster than first anticipated. Since the turn of the millennium, there has been a much sharper curve in technology, exemplified by the rise of devices such as the smartphone and smart TVs, as well as the influence of the internet and social media, all of which have changed the way we live. And things happen even faster when driven by a real need – take World War II for example when the leap from biplanes to jet aircrafts was made in less than six years. We already have the ability to automate much of the physical and white collar aspects in logistics, from automated warehouses to robotic pick-ups, picking, collection and loading of vehicles. However, the transport industry’s culture is not always open to embracing that technology, typified by the Royal Mail postal service. Although it has been around for 500 years, to survive long term, Royal Mail will have to transform by automating its activities fairly substantially, and by employing a different type of person to organise robotic collections and deliveries to people’s doors. Common factors in the industry that act as barriers to progress include elements such as the unions who have a mission to protect jobs threatened by the process of automation while politicians are wary of promoting practices that could lose them votes. Tax agencies and governments are also considering issues such as raising taxes if people are working shorter hours or not earning the same money. Finally, the 3PL business model requires resources and assets to mark up. More resource means more revenue – reducing resources and optimising utilisation by 70% also cuts 70% plus revenue opportunity – and so their resistance is inevitable. The driver shortage – this is a big problem that isn’t going away. People just do not want to be drivers and this will exacerbate the requirement for autonomous vehicles. Road congestion costs the economy a lot of money and as such is a political issue. Removing a substantial number of vehicles off the road is one solution. The potential for large scale cost reduction by reducing waste in transport operations which will be welcomed by retailers and manufacturers. The snowball effect: as one company implements change, the rest will follow. The automotive industry is an example of this; the big OEMs are already changing the way their suppliers are shipping components to their plants, taking back control from the large 3PLs. Changes in expectation and demand mean that people increasingly want deliveries within hours not days. This need is driving the use of different types of vehicles and different types of robotic deliveries. Amongst all these factors there is one element that could be the final tipping point – and that is Brexit. We all accept that good or bad, Brexit will act as a catalyst for change. Whatever the outcome of negotiations over the coming months and years, British industry will have to become even more competitive. That means improving flexibility; producing and moving materials, supplies and products more quickly. And whatever we do well, other nations will follow, creating a spiral of technology and requirement. Industry 4.0 offers the logistics industry the potential for so many powerful gains that we need to be prepared to act and take advantage of what technology can do for our industry, our customers and our economy.